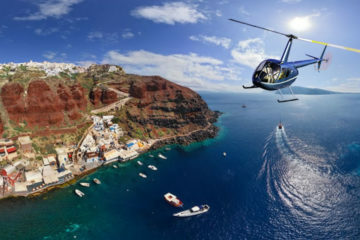 This is a must tour for every first time visitor of Santorini, bringing you really close to the volcano and its craters. Allow approximately 7 hours for this tour, after which you will be full of new experiences! 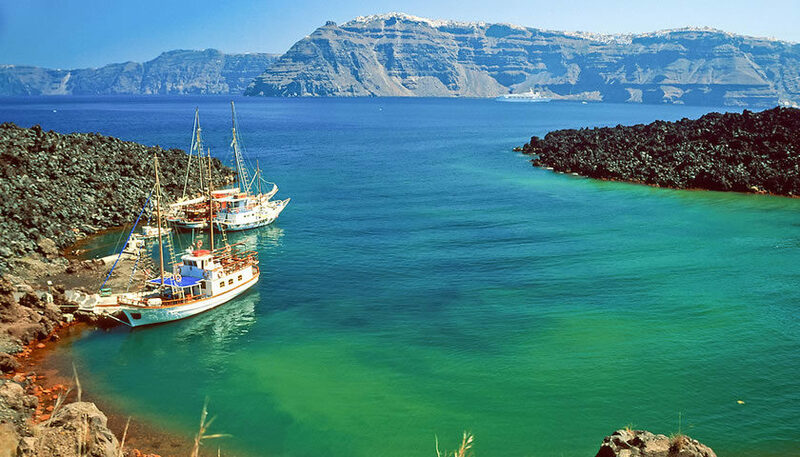 You will cruise first to Nea Kameni to explore the volcanic island, walk around the black cliffs and sand and feel like you have been transferred to another planet. After that, a new experience is coming; swimming in the hot springs which were created by the volcanic activity and believed to have healing effect to skin and bone deceases. Last stop of the cruise is Thirassia, a quiet island with typical white painted houses and few inhabitants. You will have time to wander around or enjoy a drink/food before going back to Santorini early in the afternoon. 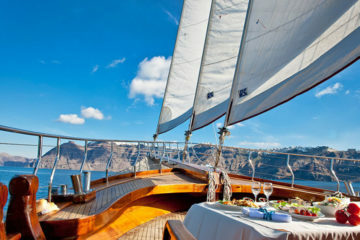 Prices for Santorini Volcano Cruise Including Hot Springs and visit to Thirassia island start from 67€ per person. You can see details and schedule here. If you are looking for privacy and flexibility you can book a private tour to the volcano and hot springs. In this case you will be able to set a preferred pickup time. Prices for a private tour starts from 130€ per person (price for groups of 9 people).